No matter who you are.. where you're from..
CatholicCare, previously known as Centacare, has grown from the grass roots of volunteering to the leading not-for-profit community organisation we are today. We started in 1957 with a very humble and noble premise, to help people. This has not changed or wavered in 60 years. From the extensive coastline, to the Snowy Mountains, to the rolling hills and flat plains out west, our geographical diversity reflects our client base and the wide range of support services available to anyone in need. Whether it is counselling, family support, homelessness, NDIS services, mental health, aged care, youth outreach, drug and alcohol or housing support you need, we are here to help you. 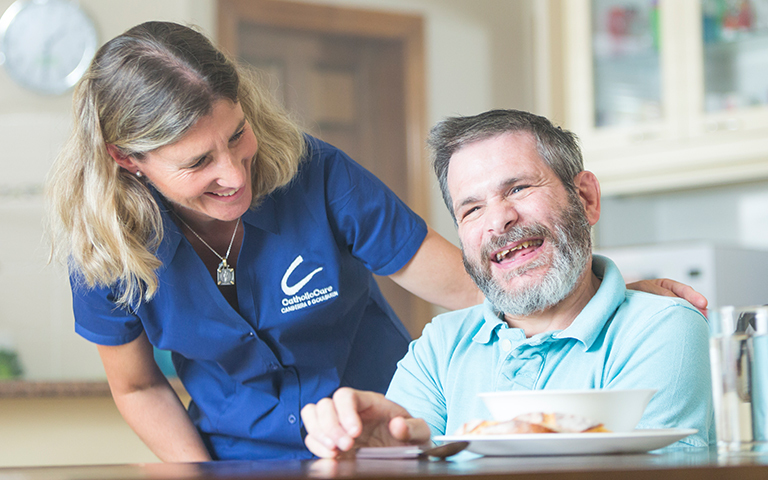 At CatholicCare Canberra & Goulburn we recognise that it is our people, their drive, loyalty and commitment to delivering a great service for the community that truly makes the difference. When an organisation is as diverse as CatholicCare, your generous donation can contribute to supporting people to make a difference in many ways. Your donation will go towards the various programs and services that CatholicCare provides throughout Canberra and the surrounding Southern NSW Regions.